This chair is a collaboration between award winning product designer Eric Pfeiffer and Loll. 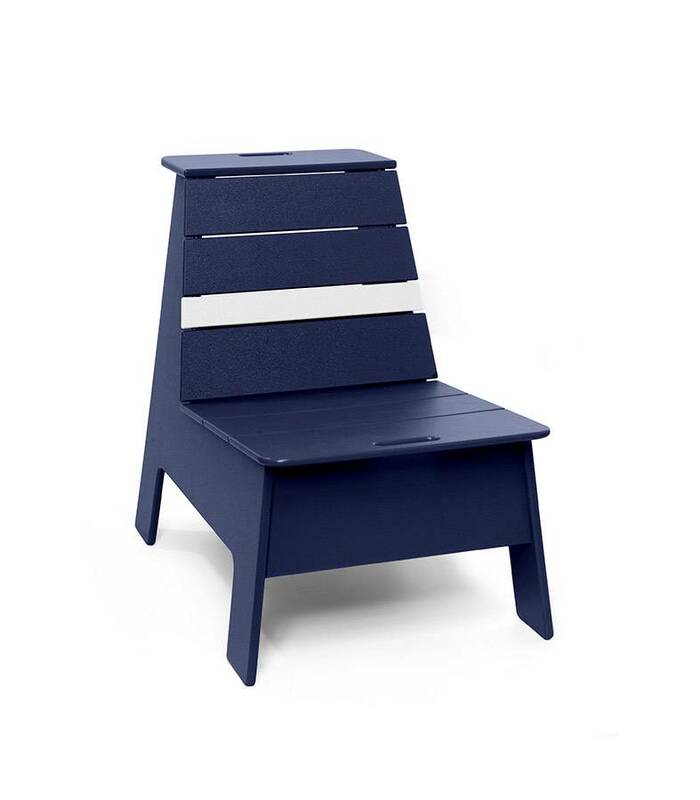 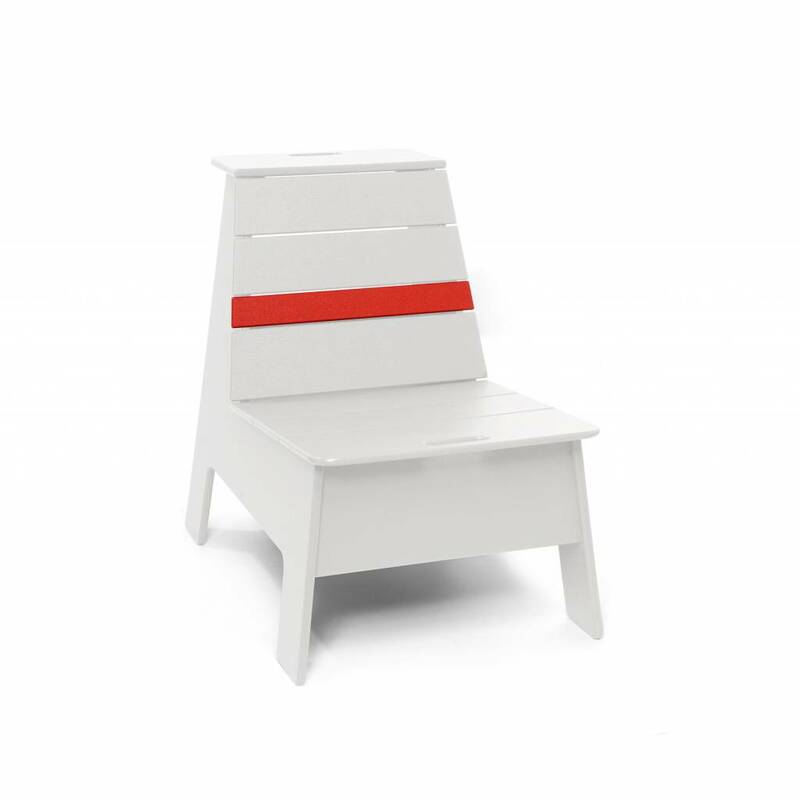 Styled with convenient handles and a sporty stripe, this outdoor lounge chair is designed for numerous sitting positions, including down low or up top on the bleacher seat. The bleacher seat also doubles as a standing-height table. 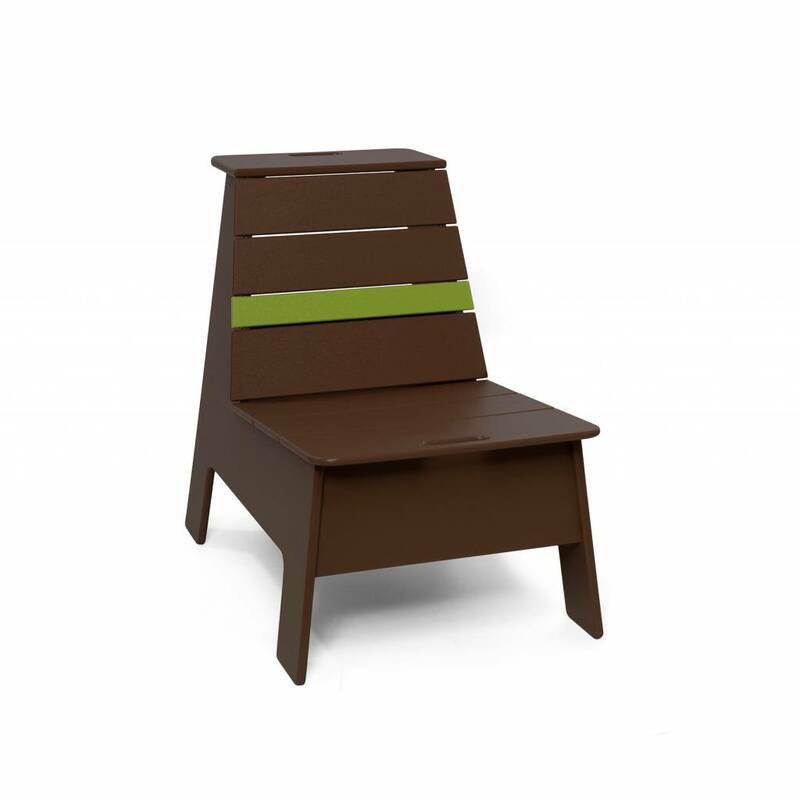 The Racer Lounge Chair Lounge also features an open storage trunk in the back for outdoor accessories and a stainless steel bottle opener for quick bottle changes. 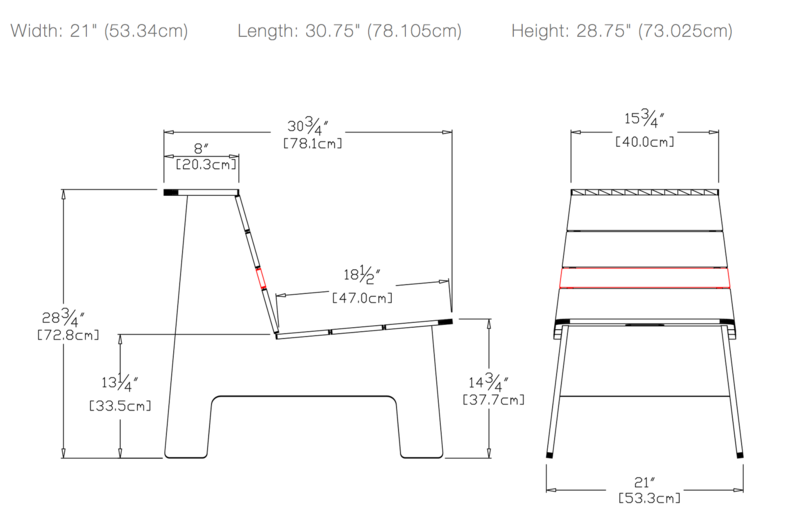 Weight: 38lbs (17.27kg) = 304 reclaimed milk jugs.